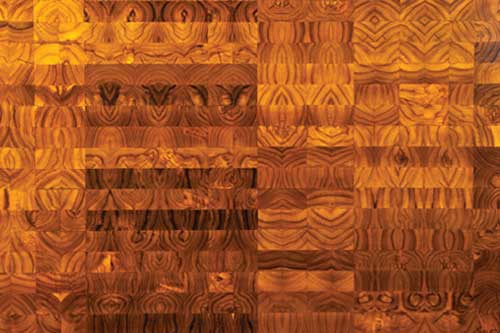 Teak is one of the most desirable wood species in the construction industry. A favorite among boat builders and furniture makers, teak contains natural oils that resist moisture, cracking, and warping. Plus, it’s unbelievably gorgeous! The problem, however, is that teak is a tropical hardwood that is being harvested into oblivion. 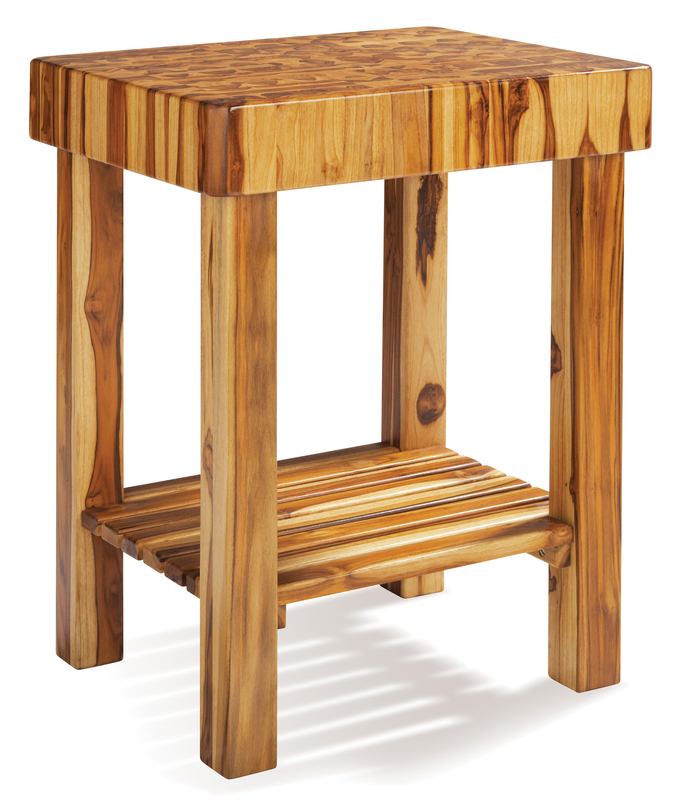 Wimberley, Texas-based Proteak says its plantation-grown teak is the perfect alternative. The company grows its trees slowly and naturally on reclaimed Mexican land, without the use of fertilizers or irrigation. From these trees, the company produces decking, countertops, chopping blocks, cutting boards, and many other products. It also offers lumber for furniture and millwork (Click for larger images). www.proteak.com. 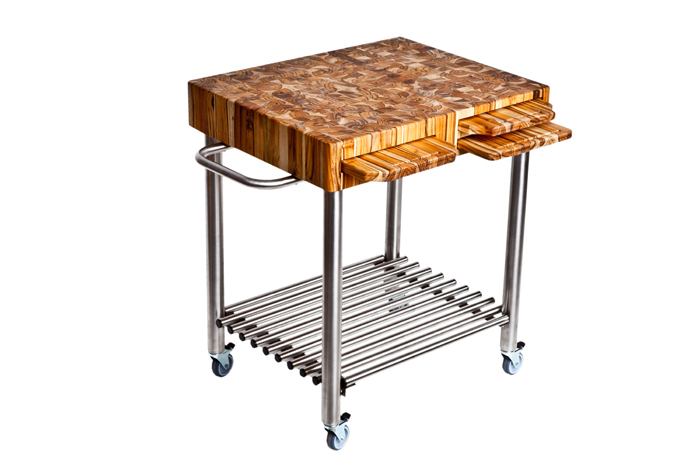 Butcher Block Cart with inserts for cutting boards: $1,050. Butcher Block Cart with wood base: $899. Teak Countertop: call for pricing. 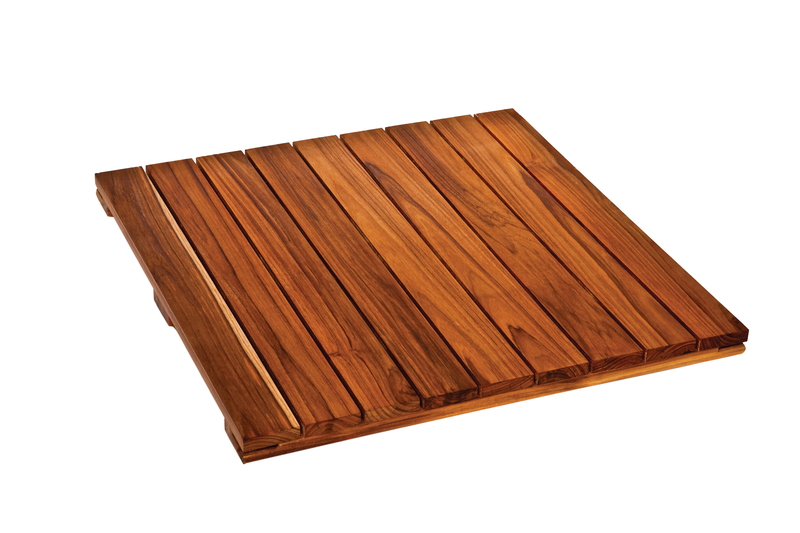 Teak deck tile: call for pricing. 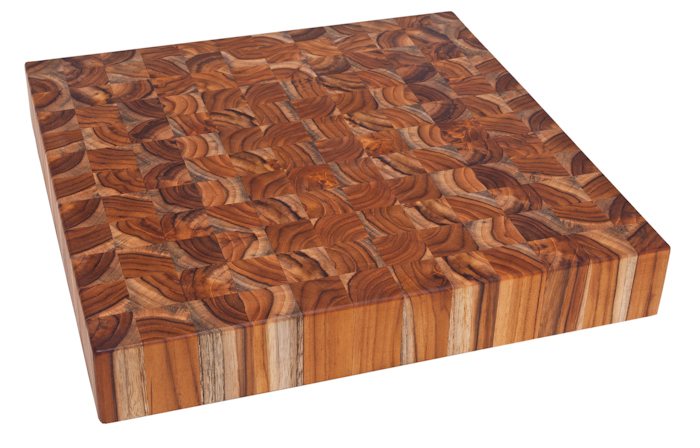 Teak cutting board: $54.99 to $109.99.